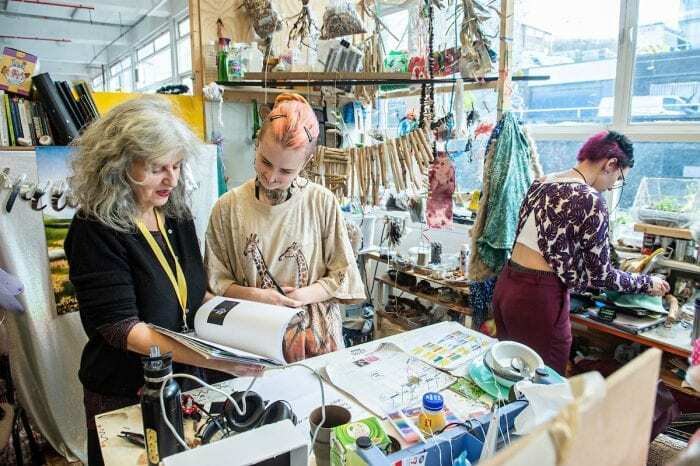 In the QS World University Rankings by Subject 2019, Brighton is 8th in the UK for Art and Design and 38th internationally – we have jumped six places internationally since 2018. The QS World University Rankings by Subject 2019 are internationally recognised and rank the world’s top universities in individual subject areas, covering 48 subjects. In 2018 rankings of student cities by the same organisation, Brighton is in the top 10 of UK student cities and ranked in the top 100 globally for the first time, scoring in the world top 20 for ‘student mix’ – the QS rankings’ assessment of how welcoming and well-equipped a location is to international students. . This entry was posted in Architecture and planning, Design and craft, Digital Media Arts, Fashion and textiles, Fine Art, Graduate 2019, Graphics and illustration, Interiors, Photography and tagged art and design at brighton, The QS World University Rankings. I’m a sixth form student and I am looking into what options there are for university. – I’m wondering but there’re many University of Brighton sites and in different locations, are they all linked or there’s different sites for different types of subjects? – What’s graphics illustration exactly? Does it include illustrations for marketing and covers etc. Our arts courses are based at the City Campus in the centre of Brighton. We have a Graphic Design degree, a Design for Digital Media degree and an Illustration degree. You can find out more about the Graphic Design and Illusration courses here and more about the Design for Digital Media degree here. Very simply, graphic design is the art combining text and pictures and illustration is the creation of imagery to illustrate something – obviously there is a lot more to it than this so I would recommend looking at the course pages in depth. If you have any more questions regarding the content of the courses please do contact our enquries team or try chatting to a current student via our Unibuddy platform.